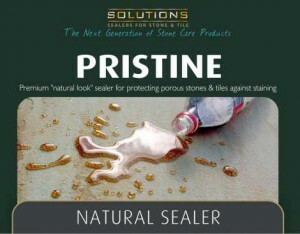 This is a premium “natural look” sealer for protecting porous stones & tiles against staining. This product is a premium solvent based product that is suitable for internal or external us, giving a natural finish which gives minimal change to the surface appearance. This sealer provides protection against water-borne and most oil-based contaminants, at the same time reducing efflorescence. This is a premium solvent based sealer for enhancing and protecting stone, tiles & masonry. This product is a durable sealer for high gloss and long life, giving the surface a glossy wet look and enhancing the natural colours of the surface. 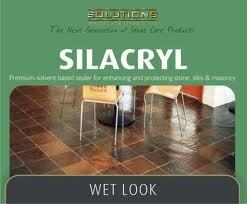 This product seals against soils, grease, oil, etc and inhibits staining. With excellent UV resistance it makes it ideal for external use. This product is an invisible water repellency treatment for masonry. This product provides a high quality repellency, invisible finish to keep masonry clean by reducing staining, efflorescence, growth of fungi/moss. When applied and maintained properly this protection will remain effective for at least 7 years in harsh conditions. Industrial strength cleaner and stripper for stone, tiles and masonry products. This product is ideal for removing waxes off porcelain tiles, removing difficult stains, dissolves heavy greases, oils & built up grime. This product is suitable for glazed & unglazed tiles, unsealed stone and masonry. 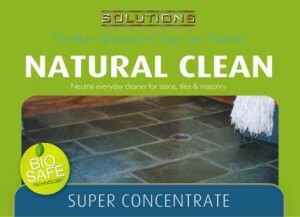 Safe, easy-to-use acidic cleaner for stone, tiles and masonry. This product is a safe, non-toxic formulation that removes cement, grout and mortar residues as well as dissolves soap scum and hard water deposits. This product neutralises and removes alkaline residue and efflorescence, mould and mildew. This product is effective in hard or soft, hot or cold water. This product is suitable for ceramic tile, brick, terra cotta, concrete, glass, stone, grout and acid safe surfaces. 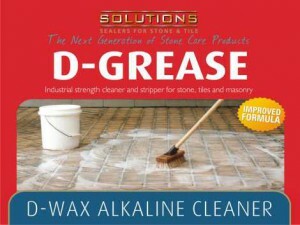 This product contains a powerful blend of acids best suited for the removal of grout smear and inground dirt. This product is excellent for cleaning sandstone and terracotta. Ideal product for sealed surfaces, this biodegradable and phosphate free neutral cleaner will not dull or etch sealed surfaces like most cleaners do. This product leaves little to no residue and has powerful surfactants which suspend and lift grease & soils. This product disolves soap scum, mould and mildew and has a pleasant fragrance. This product is suitable for glazed & unglazed tiles, sealed and natural stone, tile and masonry surfaces.